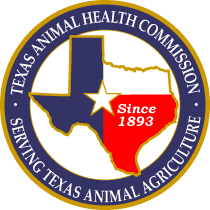 AUSTIN – Equine Herpes Myeloencephalopathy (EHM), the neurologic disease linked to Equine Herpes Virus (EHV-1), was confirmed in a Montgomery County reining Quarter Horse on April 9, 2019. While the risk of exposure to the virus was likely low at the event, owners of horses potentially exposed are encouraged to take precautions. Exposed horses should be isolated and have their temperatures monitored twice daily for at least 14 days after last known exposure. If an exposed horse develops a fever or other signs consistent with EHM, diagnostic tests may be performed. Owners should work with their veterinary practitioners to establish appropriate monitoring and diagnostic plans for any potentially exposed horse(s). For more information on biosecurity measures you can take to keep your horses healthy, visit http://www.tahc.texas.gov/news/brochures/TAHCBrochure_BiosecurityEquine.pdf. One of the most common clinical signs of EHV-1 is fever, which often precedes the development of other signs. Respiratory signs include coughing and nasal discharge. Neurologic signs associated with EHM are highly variable, but often the hindquarters are most severely affected. Horses with EHM may appear weak and uncoordinated, urine dribbling and loss of tail tone may also be seen. Severely affected horses may become unable to rise. For more information on EHM visit http://www.tahc.texas.gov/news/brochures/TAHCBrochure_EquineHerpesMyeloencephalopathy.pdf. 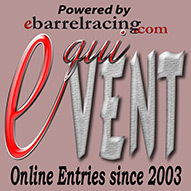 The equine industry is encouraged to obtain the latest information on this outbreak and other disease events across the country by visiting the Equine Disease Communication Center (EDCC) website, http://www.equinediseasecc.org/alerts/outbreaks. Additional Texas EHM cases will be posted on the EDCC.